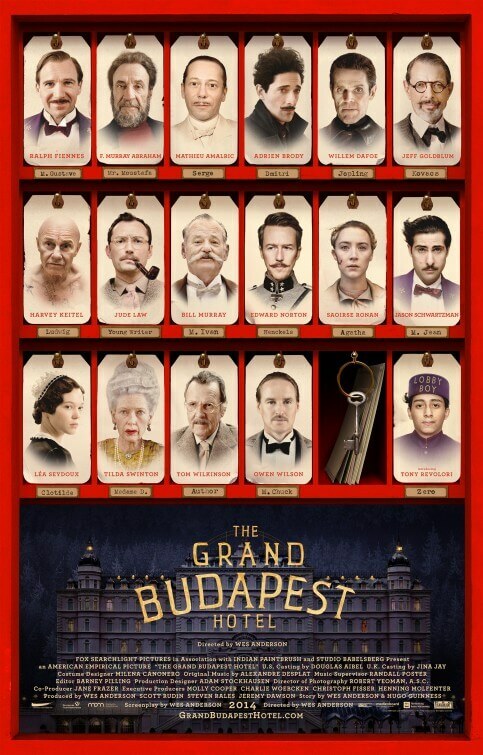 The mind of Wes Anderson must be a treasure trove of imagination and visual enchantment. With each story, from debut indie Bottle Rocket to the adorable Moonrise Kingdom, he brings a fascinating style and look that’s unmistakably his without ever succumbing to the usual tropes of modern day filmmaking. His strong filmography continues with The Grand Budapest Hotel, perhaps his most accomplished film to date from a visual perspective. Once again, Anderson – also the film’s writer – has injected life into every single shot which makes it a treat for the eyes. People or other items in the background stand out even when they’re not in focus, and it requires at least two viewings to try and spot every little wonder that’s going on. The typical use of miniatures, zoom-ins and even brief hints of stop-motion all make for an artistic vision that is on fire, in the best possible way. Certainly helping is how astonishingly beautiful the production design is, lending for some Kubrickian shots that allow for great atmosphere and memorable designs, such as the interior of the titular establishment or even something as grubby as a prison cell. The production designer’s name is Adam Stockhausen, who has also worked on Moonrise Kingdom and earned an Oscar nomination this year for 12 Years A Slave, and unless the rest of the year gives us five more outstanding sets and the like then it’s hard to imagine him earning another nomination for his work here, possibly even a win. It’s not even one-quarter through 2014, but it’s that damn impressive. Anderson has also gone full Inception on its framing devices, with not one, not two but FOUR different timelines being represented. Pay attention, because this is going to hurt: geginning with a present day visit to a graveyard where a girl reads a book by a nameless author, we then skip back to the 1980s – represented by the frame ratio of 1.85:1 – where said author (Tom Wilkinson, as one of the many actors in its starry ensemble to be reduced to cameo-status) recalls to us his trip to the hotel of the title, where we skip back again this time to the 1960s – shot with the 2.35:1 frame ratio – where the young author (now Jude Law) meets the aged owner Zero (F. Murray Abraham) who tells him his own story, meaning another skip back in time to the 1930s – where the majority of the film takes place, in all its boxed 1.33:1 frame ratio glory – where young Zero (Tony Revolori, in a charming debut) works as a hotel lobby boy for lead concierge Gustave H (Ralph Fiennes). If you’re struggling to keep up with all that – and we don’t blame you, there are times when the story can become a little complicated to follow – then it’s the main performances that will keep you hooked regardless. Fiennes, as further exampled by supporting turns in In Bruges and Cemetery Junction, has always been something of an underrated comedic actor but has not been given the opportunity to shine as such until now; his timing is spot on and he knows exactly when the right time to say something funny is. His character, Gustave H, is funny and likable enough to make us wish he gets out of trouble okay, but Fiennes gives him a charming sense of humanity that helps us to truly root for him, no matter how dastardly he may come across. Much of the film’s impressive ensemble is, as stated, reduced to the utmost minimum, small supporting roles at best. This unfortunately leaves little room for Anderson regulars – Bill Murray, Owen Wilson etc – or most of the newcomers – including Jeff Goldblum and Wilkinson – to do as much, although Saoirse Ronan stands out as young Zero’s sweet love interest as does Willem Dafoe as a brutal thug who is directly responsible for the most gruesome moment in any Anderson film. Although Fiennes and Revolori are an impeccable duo, The Grand Budapest Hotel is sadly left with hardly any vacancies for the rest of its talented cast. 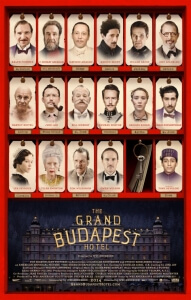 Although it doesn’t make the most use of its starry ensemble and the story can be hard to follow at times, The Grand Budapest Hotel still remains a highly entertaining visual achievement for Wes Anderson with incredible sets, absorbing cinematography and a charming Ralph Fiennes as the lead making this hotel a five-star experience all the way.